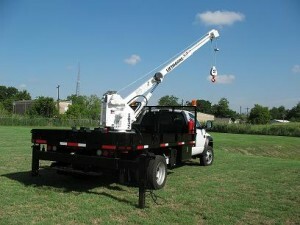 Liftmoore builds a complete line of electric and hydraulic cranes with capacities to 10,000 Lbs. and moment ratings to 72,000 Ft.-Lbs. Their cranes have proven themselves in the field for over 50 years. Applications include field service work on mobile equipment, municipal water and sewer repair, railroad maintenance, oil field and pipe line maintenance and propane tank setting. 12V DC Powered Cranes, From 800 Lb. Max Capacity to 6,000 Max Capacity. All DC powered cranes have limited duty cycles, By design DC Powered Motors are limited by the heat it generates, Motors must be allowed to cool and the battery to replenish its charge. The truck should be running anytime the crane is used. Exceeding the Duty Cycle and or lack of an adequate power supply will result in premature motor failure. 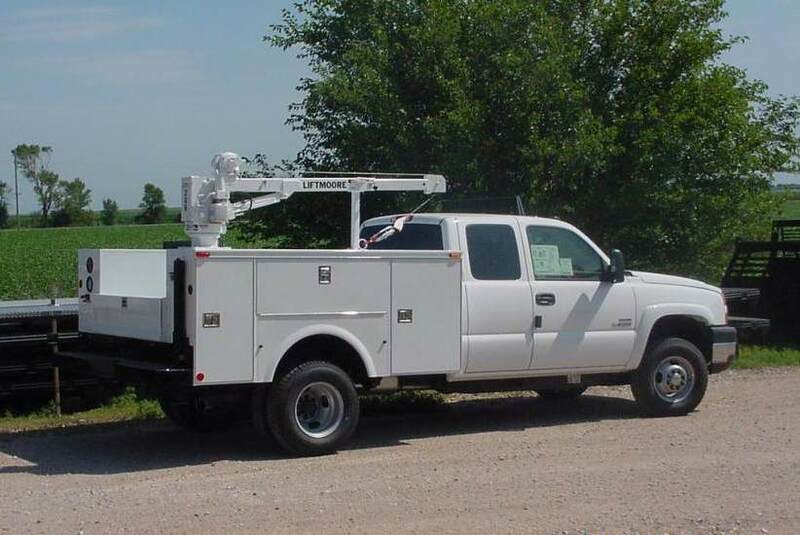 Hydraulically Powered from the the trucks P.T.O / Pump combo or Clutch pump. From 3,200 Lb. Max Capacity with a moment rating of 10.000 Ft-Lbs up to 10,000 Lb Max Capacity with a moment rating of 72,000 Ft.-Lbs.